Having Greek family, I’ve always been a huge advocate of pure cold pressed oils and their healing qualities. You’ve seen My Big Fat Greek Wedding; there’s nothing oil and/or WD40 can’t fix! 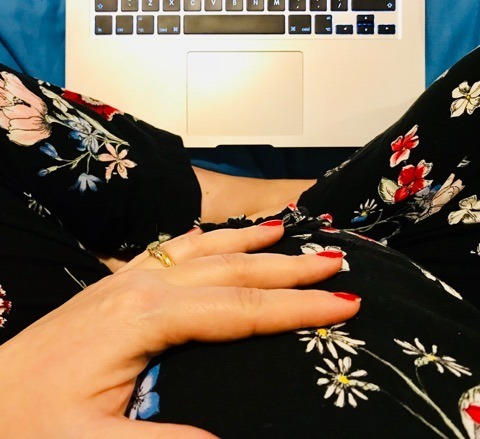 So, when I saw that Ora Naturals, a UK based company were looking for pregnant women to test their latest range of pure Argan Oil products, the bun in my oven did a little happy dance. For the past 10 days I’ve been using their Pure Argan Oil spray on my tummy to try and fight the possibility of stretch marks as I’m currently 28 weeks pregnant. 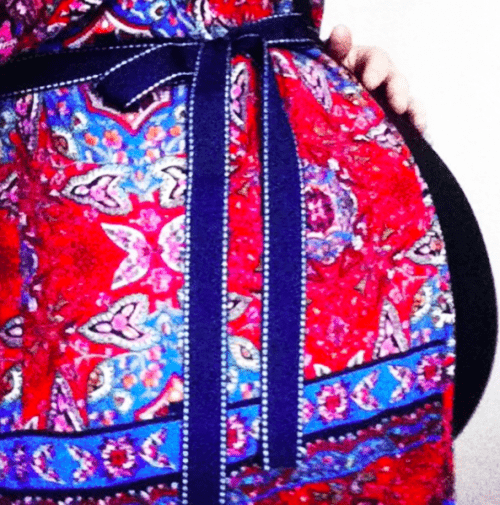 This is my second pregnancy and with my first I was quite blasé about using oils or creams to fight such an issue as I didn’t seem to gain any stretch marks. That was until the week I gave birth, in the days running up to labour my belly seemed to almost pop and although, the marks I was left with can be counted on my hand, they were quite deep. This time around I’m keen to make sure that my skin is as well prepped as possible to reduce the amount of visible scaring I’m left with. The Ora Oil felt really nourishing and absorbed into my skin surprisingly quick. I found the best application came when I squirted 2 or 3 spritz into the palm of my hands (more than enough coverage for my entire pregnant belly) and then warmed it slightly before massaging it in to my stomach, rather than say spraying it straight on. The combination of having to massage the oil in and its high moisture content left both my tummy and skin feeling less tight and relaxed. I found it best to apply at night after having had a shower and before going to bed, as the oil had time to work into my skin without rubbing into my clothes. I’ve got combinational skin which can easily bounce from being slightly dry to oily, I’m also quite sensitive to products that contain alcohol and perfumes, even a lot of the hypoallergenic creams have left my skin quite red and sore. It’s mainly because of this that I’ve always tried to stay away from heavy chemical-based creams and especially so when pregnant as I worry about the impact they have on both my skin and the possibilities (no matter how small) of them affecting the baby. I’ve always preferred to use oils on my body rather than a standard High street cream if only for comfort and peace of mind as much as anything else. If I was to compare Argan Oil to other oils I’ve used say for example Olive Oil or Coconut oil (two of my favourites). The greatest difference is that it’s completely un-aromatic; olive oil often leaves you smelling like a mixed salad and the natural fragrance of coconut oil as lovely as it is can be quite over powering. 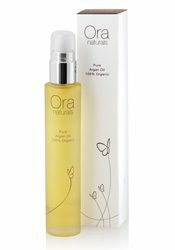 The Ora Naturals Oil was not as greasy as Olive Oil, but definitely felt like it deeply nourished my skin and far better than Coconut oil, which (for me) often feels good when applying but then dries out very quickly. One application in 24 hours was more than enough and didn’t leave any transferred residue on my clothes after applying, which can be quite annoying especially when using olive oil. I’ve really enjoyed adding the oil to my daily routine, my skin definitely feels much better, but above all I’ve enjoyed making the time to spend with my tummy. My mum (a retired midwife and mum of 6) often preaches about the benefits of making time to take time. Sometimes though it can be so easy to let life get in the way of even simply stealing 5/10 minutes for yourself and your unborn baby. And yet the benefits of doing so have surpassed my expectations and it’s not surprising really when it’s well documented that being relaxed reduces stress which in turn increases the levels of oxytocin and serotonin (the happy hormone) that your body produces; beneficial to both you and baby. I am now definitely one happier mum with a well loved and softly, pampered tum! 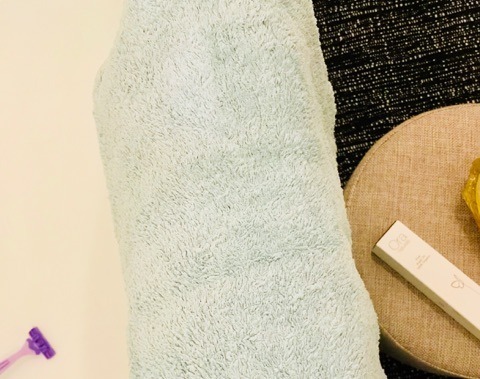 For more info on how I’ve adapted my routine email: enquiries@booberrit.com or if you’ve any tips for expectant mums on combatting stretch marks, drop us a comment below. Urban Art: The Cheryl Co.